Compare prices from several car hire companies in Torrevieja and find the best price for car rental. Our prices always include unlimited mileage and insurance. 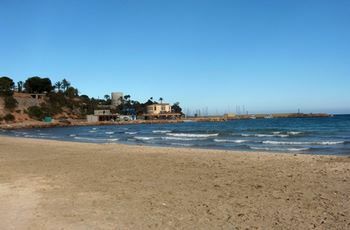 Torrevieja is located in the Alicante province which belongs to the region of Valencia. The city is located on the Costa Blanca and is bordered by the Mediterranean Sea. From Torrevieja is about 50 km to the city of Alicante in the north. The population in Torrevieja was estimated to be over 100 000 in 2010. Today, Torrevieja, a popular holiday destination, and the town grew up because of the salt production from saline lakes in mind the surrounding area. The name means “old tower” after the guard towers that existed here before, and today one can see the Torre del Moro from the 1300’s. Alicante Airport is also called El Altet and is approx. 50 km north of Torrevieja. This is the sixth busiest airport in Spain, and from here the routes to include Helsinki, Reykjavik and Glasgow.